Engelsberg Ironworks – Best-preserved example of Swedish ironworks. is a historical industrial complex located in Sweden, which features administrative and residential buildings from the 17th to 19th centuries. This well-preserved example of a traditional Swedish ironworks was built in 1681, and grew into a modern ironworks from 1700-1800. Sweden has long been known for its superior iron, becoming a leader in iron production in the 1700s to 1800s, remaining the economic leader in the iron industry for two centuries. The ironworks was started by local peasants in the 13th century, alongside their agriculture pursuits. After the water-wheel became used, the iron industry took off in the late Middle Ages, growing rapidly. Pig-iron production, created by primitive smelting furnaces, was initially restricted to peasants. Production steadily increased and the complex expanded during the 18th century as a result of improving technology. About 50 buildings were built around the complex, some decorated with Gustavian paintings. Houses include the master gardener’s house (built in 1790), a brewery (1829),and an inspector’s house, an office building, stables and smiths’ cottages. The complex provides a picture of the Swedish accomplishments in their historical traditions and equipment as well as the way of life in terms of society and culture in Sweden during this time period. Some of the ironworks machines continue to work today, giving visitors a view into how the mill once functioned. The Engelsberg Ironworks were built in 1681 by Per Larsson Gyllenhook. The main building of the complex was constructed around 1750, and the last modernization was in 1828. 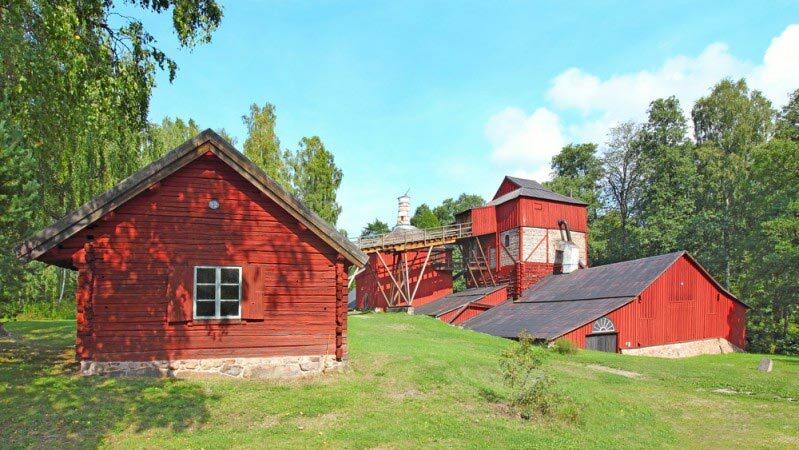 Engelsberg Ironworks became a UNESCO World Heritage site in 1993. Between 1695 and 1767 iron production at Engelsberg Ironworks rose from 135 to 264 tons per year. The Engelsberg Ironworks are located in Angelsberg Village, which is part of Fagersta Municipality in Vastmanland, Sweden. Sweden experiences short days during winter, so other seasons are generally recommended over winter, though it can be very beautiful in the snow. Summer, particularly June, is one of the best times to visit Sweden for its nice weather, many festivals, and famous Midnight Sun.